The U.S. Postal Service updated shipping rates on January 21, 2018. This shipping calculator turns the near-indecipherable USPS rate charts into an easy to use tool for updating your shipping profiles and listings. Take a look at my domestic shipping article if you need a crash course in weighing and packaging. 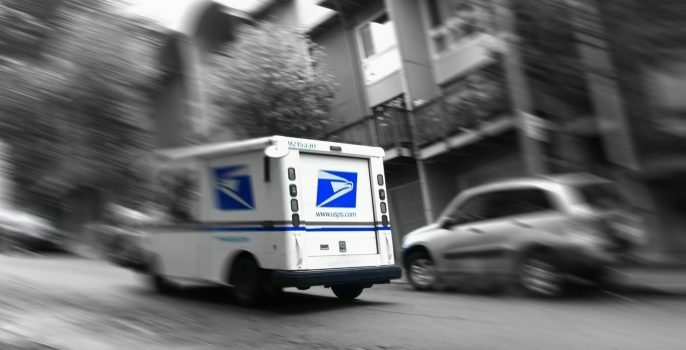 The USPS updated shipping rates on January 27nd, 2019. The rates shown below are no longer correct. Cover image by zach winter on Flickr. Will you be creating an updated calculator for 2019 USPS rates? Haley – not this year. Will you be having a shipping calculator for 2019? There will be lots of changes and I don’t know if I’ll survive without your awesome calculator!! Thanks so much for posting this! It’s a huge help and I’ve been looking all over for it! Why can’t Paypal post this in their help section? Thank you SOOO MUCH for putting this together again this year. I’ve used your charts for a couple of years now and it’s such a time saver!! I posted a question on the other page which hasn’t posted for some reason. I’m curious to know how you’re able to get these rates. Anytime I try using USPS postage calculator, it has missing information. Erin, you can see your comment and my reply to your question here. The data that is used for all the shipping calculators on this site come directly from the USPS. The likely reason you are getting different results from the USPS estimator and my calculator is that all my calculators are set up for Commercial Based Pricing while the USPS estimator is set up using Retail rates. Hope that clears things up for you. Thanks, Brittany. For some reason it wasn’t visible to me. I’m not certain I agree that the reason I couldn’t get prices was due to what you said. If anything, it should have shown me the non commercial prices. But that leads me to another question. How did you get those prices? Are you doing it through something like Stamps or Shipstation? Did you have to talk to a rep from USPS? Did whomever you decided to ship through give you a person who helped set that up for you? I’m hoping to ship in the future commercially, and your advice would be helpful and greatly appreciated. Thanks again! Another thing I’ve found, as mentioned, is the inconsistency of USPS with getting info. With your price calculator, you get the price for items under 16 ounces. With their site, you don’t. This could be chalked up to you having a commercial account, but I just talked to someone at a college who operates the post office there like a regular post office, and he was unable to show anything over 13 ounces. So, I’m left confused as to what to believe is the right option for shipping. I’ve come to depend on your updates–so much easier than USPS or other sites. Thank you. You are so welcome! Thanks for the kind words.